It is a truth universally acknowledged that climate change will have an impact on humanity. As a double major in English literature and anthropology, Antoinette Nguyen ’21 is keenly aware of this inconvenient truth. Nguyen is also a Rochester Early Medical Scholar, heading to medical school after she graduates, and as someone who wants to dedicate her professional life to policy work and community engagement, she jumped at the chance to become one of the University of Rochester’s inaugural Community-Engaged Summer Sustainability Fellows. 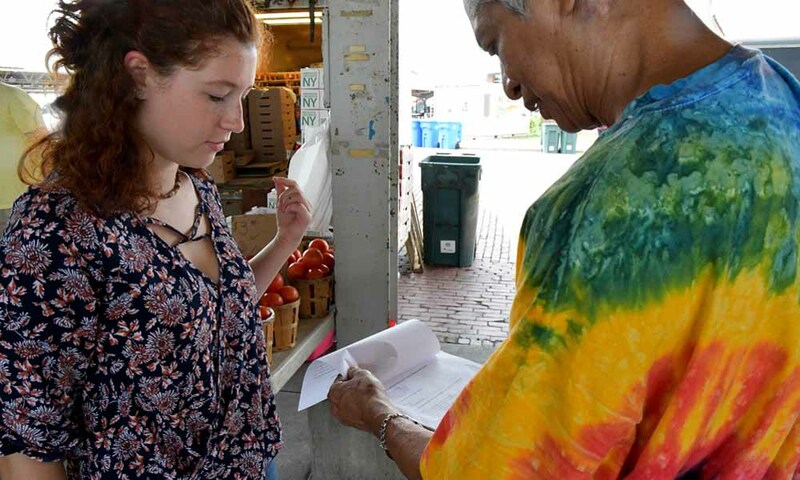 The summer fellowship is supported by the College’s undergraduate sustainability program and gives students an opportunity to work on a timely local issue related to environmental sustainability. 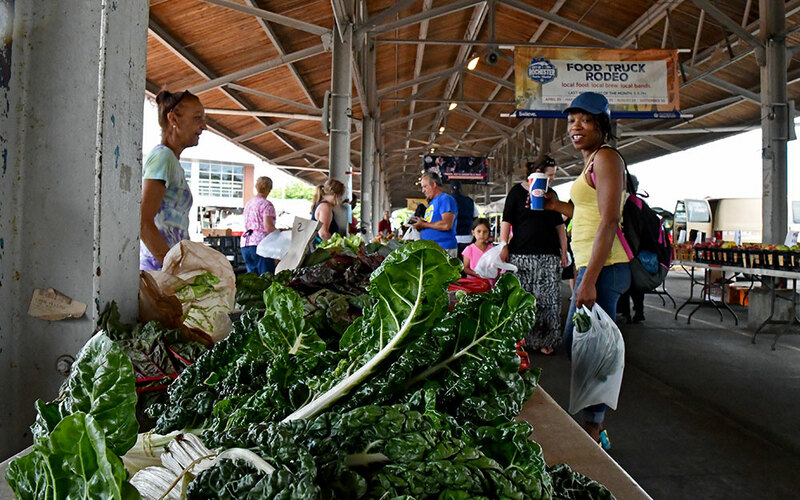 This summer, four students are working with Katrina Smith Korfmacher, associate professor of environmental medicine, to analyze health equity aspects of the City of Rochester’s ongoing Climate Vulnerability Assessment (CVA). Korfmacher also directs the Environmental Health Sciences Center’s Community Outreach and Engagement Core (COEC), which works to address environmental health problems in the community. 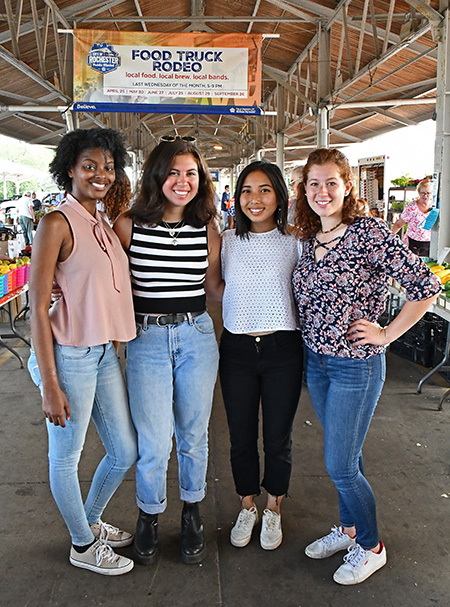 In addition to Nguyen, three other undergraduate students were selected as this year’s Summer Sustainability Fellows: Ivana-re Baldie ’21, a biochemistry major who is pre-med; Nicole Franki ’20, an environmental studies and political science double major; and Rebecca Saubermann ’20, an environmental health and financial analytics double major. 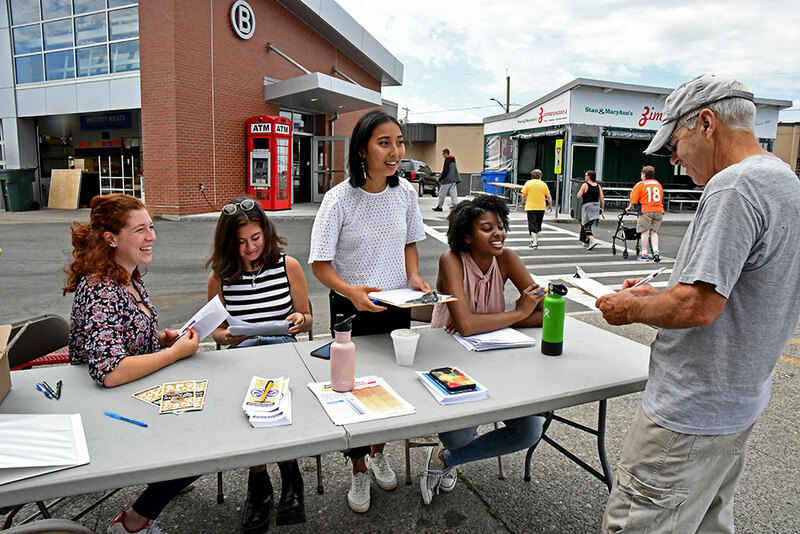 On a hot Tuesday in July, the sustainability fellows set up a table at the Rochester Public Market. They were there to survey Rochester city residents to identify who will be most affected—and how they will be affected—by climate change in the coming years. “The project started organically after meeting with the stakeholders for the City of Rochester’s climate vulnerability assessment,” says Saubermann. In 2016, New York State awarded the city a Climate Smart Communities grant to undertake a climate vulnerability assessment as a way to help set goals and develop climate adaptation plans for the city. The team was given the opportunity to supply additional information and analysis about health equity issues to support the work being done by the city and its consultants. Where would you be most likely to go if your power was out and you needed to cool off during a heat wave or heat wave emergency? Do you consider yourself at any increased risk of heat-related illness due to your age, work, living conditions or a medical or mental health condition? “If I’ve learned anything from this program, it’s that every single problem is actually ten different problems—and then ten more. “One of the recommendations might be for people to go to rec centers to cool off,” says Baldie, who is focusing on how air quality affects people’s health for this project. But such a recommendation assumes people know about these centers and have a way to get there. And even though air conditioners themselves can contribute to climate change, when looking at health measures, Baldie notes that it’s preferable for vulnerable populations—people with respiratory illnesses, children, the elderly—to have access to air conditioning. The last step for the Summer Sustainability Fellows this year is a final presentation of their findings and recommendations to city officials. All four agree that the highlight of their experience has been working with the local government and community members. “They all care about the environment and want to do right by the city, so that was really encouraging to see,” says Franki. The fellows credit their advisor, Korfmacher, who “has done an amazing job coaching us, guiding us, brainstorming with us, and helping us with contacts and connections. She opened a lot of doors,” says Saubermann. “She made it a priority for us to not just sit in an office but instead to get out into the community,” Franki says. « Was the University a player in the invention of baseball?